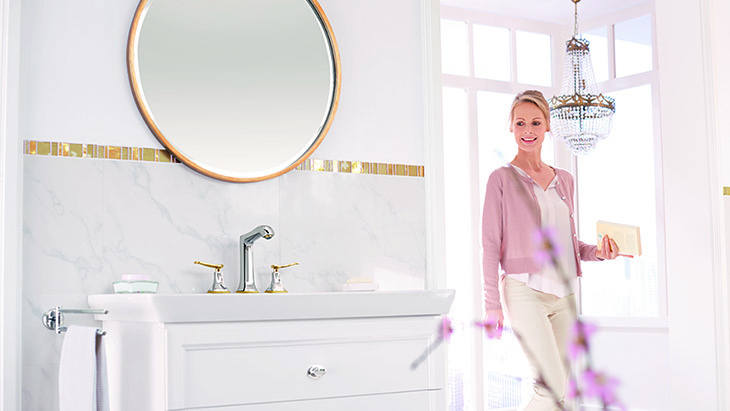 Show your customers a world full of elegance and harmony: the hansgrohe Metropol Classic mixer range integrates seamlessly into stylish bathrooms thanks to its elegant body and dynamic spout. 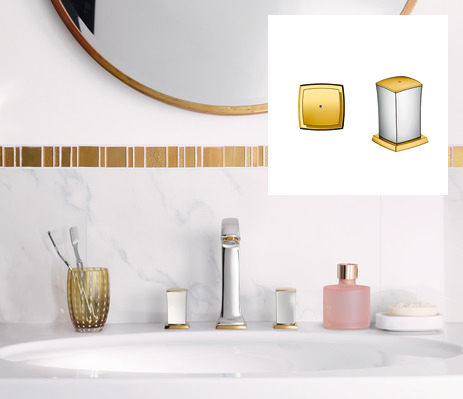 Precise contours and well-balanced surface areas, and in particular subtle details in gold finish, embody the finest craftsmanship. It can be used to upgrade a variety of interior design concepts, in premium hotels as well as high-quality residential locations. 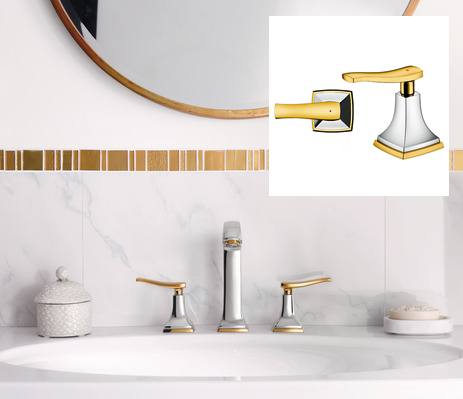 Metropol Classic offers a broad selection: different handle variants and spout heights, along with applications for all bathroom areas, combine to create an ideal solution for your customers. Versatility of design. Star handle, lever handle, zero-handle? With Metropol Classic, you have the choice: cater to your customer’s tastes with the ideal combination of control unit and height, also available in three variants. 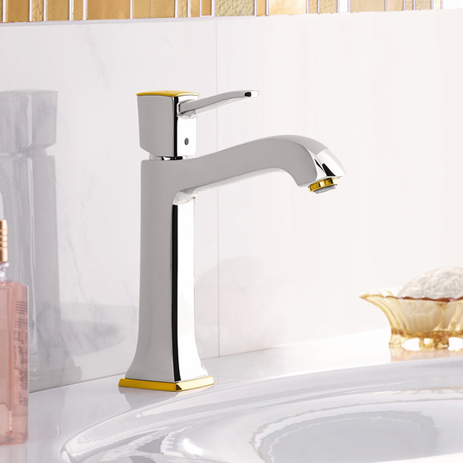 Select high-quality surface finishes in the chrome/gold look and chrome. High level of quality. Metropol Classic is a blend of the ultimate in manufacturing quality and stylish design expertise. The mixers and showers will permanently enhance any bathroom. Innovative technologies from Hansgrohe such as EcoSmart or QuickClean will also impress your customers. 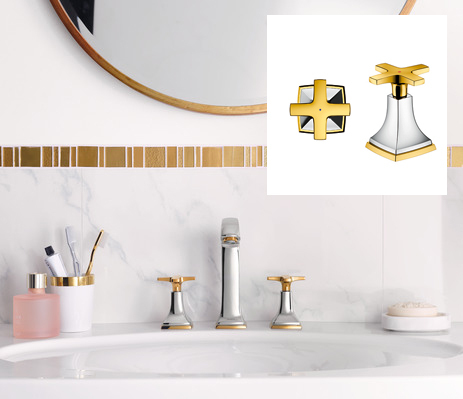 Comprehensive solution for the entire bathroom: create aesthetic unity by combining stylish Metropol Classic products for the wash basin, on the bath tub and bidet as well as in the shower. 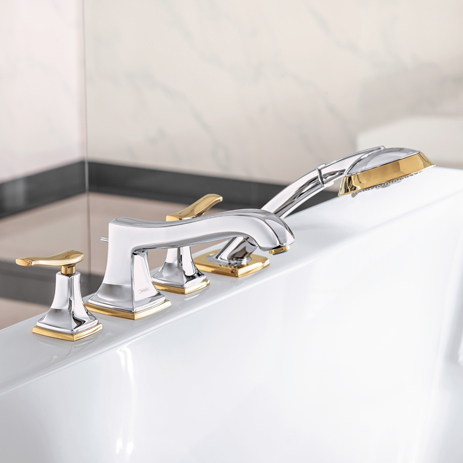 Metropol Classic is impressive thanks to its selection of different handles and heights. You have a choice of single lever mixers and 3-hole mixers. 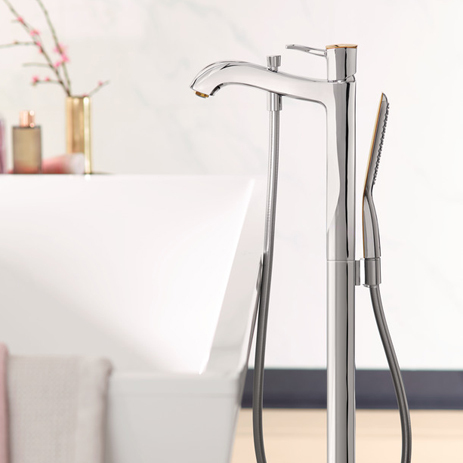 The Metropol Classic mixer range adds a touch of style to bath tubs and showers. Choose single lever mixers in exposed or concealed installation variants. Also available are 4-hole rim-mounted bath mixers and a floor-standing bath mixer. The latest hansgrohe mixer range in the Classic style collection offers perfectly coordinated solutions for the entire bathroom. 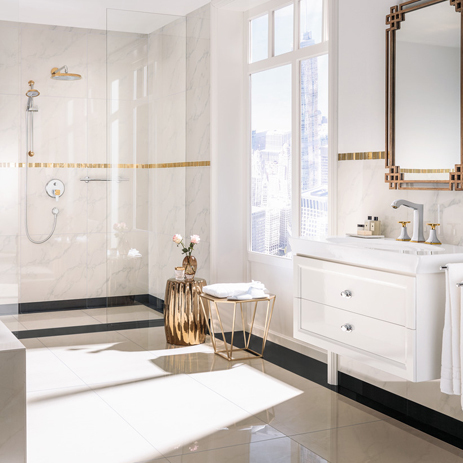 Hand showers and overhead showers embrace the style world of the Metropol Classic mixers, and blend in seamlessly with the wash basin and bath tub solutions. 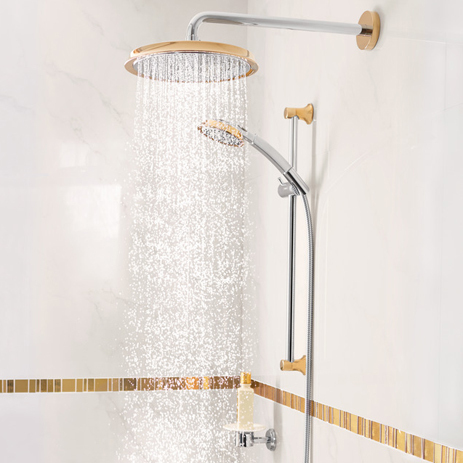 The single lever shower mixer is available for exposed installation and also for concealed installation, depending on the particular scenario.